Is Discover Weekly a step forward or a step back? In the good ol’ days people discovered music by listening to the radio and recording the music on audio tapes. The disk jockeys were the opinion leaders that could make or break an upcoming artist. During the coming of age of the digital the sources for discovery became legion. We went from opinion leaders on the airwaves to watching MTV to following users of social platforms like SoundCloud to computer generated list based on genre preference. But now there is a new oracle of music in town. On the 20th of September Spotify released a new feature called Discover Weekly. This is a personalized playlist that is updated every Monday with about two hours of music. This new feature has a gotten a lot of press. Most of the articles are moderately positive (Time Magazine, WIRED) but Tech Insiders headline kind of says it all “Spotify’s newest feature actually has me excited for Mondays”. Now the use of big data and/or machine learning for music discovery isn’t that new. There have been numerous playlist generators like iTunes Genius, Pandora Radio and Spotify extensions (Spotiseek, Spotibot, etc.) 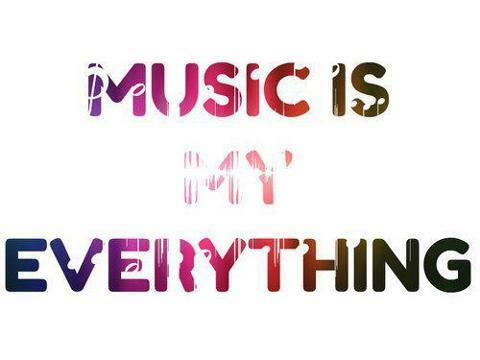 and Spotify Radio. What’s is (arguably) new or emergent is that these playlists aren’t based on data about the music such as genre, beats per minute or some other content-related metrics. It is computer generated based on understanding users. This next step isn’t really coming out of the blue. Over the years Spotify has invested heavily in ways to help users discover music. Towards that mission it acquired Tunigo (2013), The Echo Nest (2014) and Seed Scientific (2015) (CrunchBase). All three were companies that helped users discover music with the latest two identifying themselves as data companies. After a first scathing article in WIRED, WIRED went through the privacy policies of competitors (Pandora, Rdio, Apple Music, Tidal, Google Play Music) to compare and see if Spotify really went overboard. In its conclusion it puts forth some good news, which is that the intel is used to build a better product. 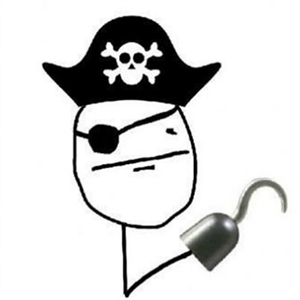 However the bad news is that if you go to a competitor “you’re going to be giving away basically the same access anywhere where you turn.” This means that users have the option to stop streaming, give in or go back to pirating. There is a fine balance between using data in an empowering way for the benefit of many and the use of data for ones own gains. 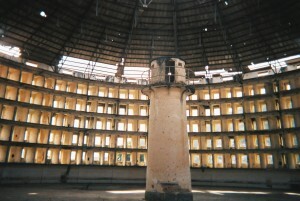 In academic discussions about privacy and data authors often refer to Foucault’s thought experiment of the Panopticon. The Panopticon was a jail conceptualized (never build) by the Jeremy Bentham (see image below). What made the jail so interesting was that instead for hiding the prisoners away, the desired effect was to “to induce in the inmate a state of conscious and permanent visibility that assures the automatic functioning of power.” (Foucault, 201). Spotify users alarmed by the media might feel like these fictional prisoners locked up in a prison of exposure. This arises from a disillusioned sense of control. As far as I can see at this time. Spotify is only using its information to build a better product but the skewed power dynamic remains a problem. CrunchBase. Company Details Spotify. CrunchBase.com. N.p., n.d. Web. 14 Sept. 2015. Foucault, Michel. Discipline and Punish: The Birth of the Prison. 1st ed. New York: Pantheon Books, 1977. Print. Introducing Discover Weekly: Your Ultimate Personalised Playlist. Spotify Press, 20 July 2015. Web. 8 Sept. 2015. Luckerson, Victor. Spotify Will Send You a Personalized Mixtape Every Week. TIME.com, 20 July 2015. Web. 14 Sept. 2015. Pierce, David. Inside Spotify’s Hunt for the Perfect Playlist. Gadget Lab. WIRED, 20 July 2015. Web. 14 Sept. 2015. Seed Scientific. About. N.p., n.d. Web. 14 Sept. 2015. Spotify. Introducing Discover Weekly: Your Ultimate Personalised Playlist. Spotify Press, 20 July 2015. Web. 14 Sept. 2015. Stenovec, Tim. Spotify’s Newest Feature Actually Has Me Excited for Mondays. Tech Insider, 3 Aug. 2015. Web. 14 Sept. 2015. TechCrunch. The Echo Nest. YouTube 19 Apr. 2012. Web. 14 Sept. 2015. The Echo Nest. Company | The Echo Nest. N.p., n.d. Web. 14 Sept. 2015. « Facebook’s new virtual assistant ‘M’: mastermind or menace?